If there's one thing we seem to focus on a lot at Tofugu, it's online resources. If you're learning Japanese, you can get almost everything you need online. Online textbooks, resources, apps, and even tutors can be acquired. Physical textbooks, dictionaries, and flashcards are becoming a thing of the past. The three books I'm reviewing today break this mold. If you want to look up, understand, learn, or review a Japanese grammar point, these books are hands down the best place to do that. 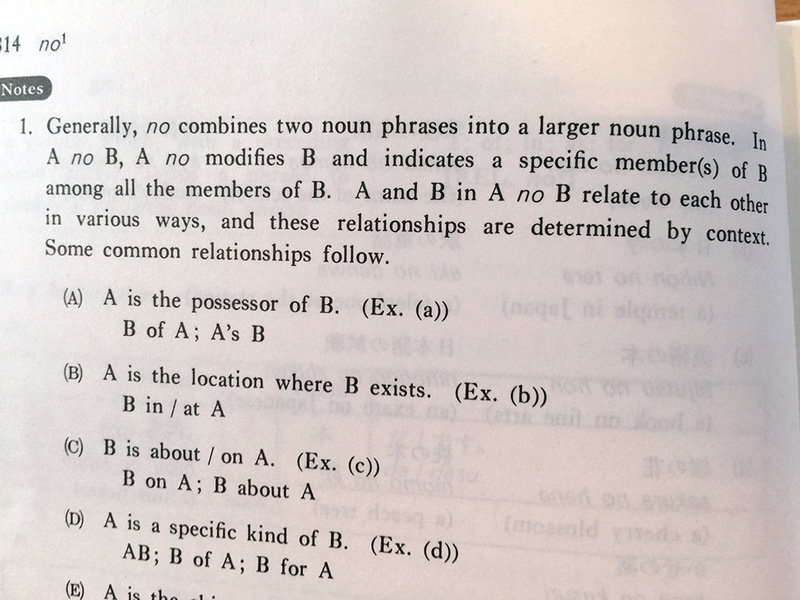 No single resource (nor any combination of webpages and resources) even comes close to what the Dictionary of Japanese Grammar book series has to offer. 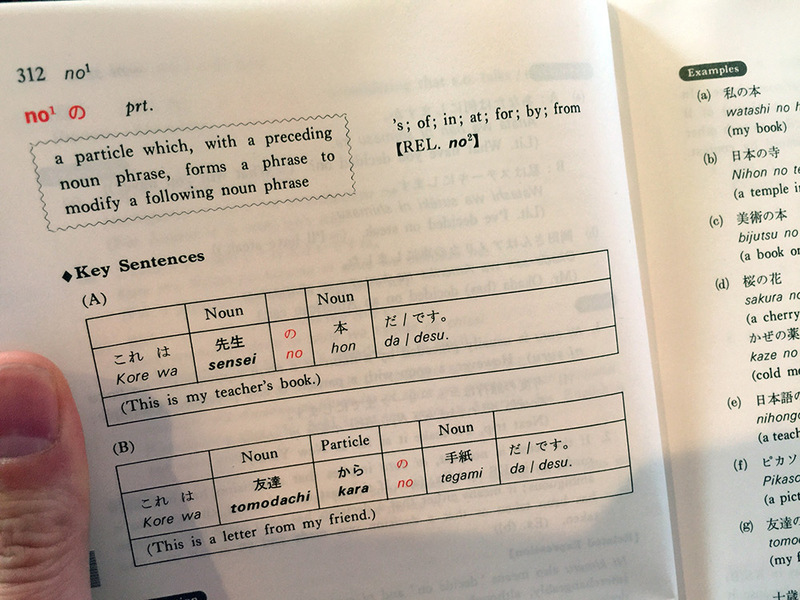 This is why it's included on our recommended Japanese Learning Resources page. The Dictionary of _____ Japanese Grammar series is published by The Japan Times (usually good stuff there) and written by Seiichi Makino and Michio Tsutsui who are professors at Princeton and the University of Washington, respectively. Although I don't know a lot about their past, I do know that they know a wicked lot about Japanese grammar. Even more importantly, they know how to relay that complicated information to you in a way that you will understand. This is quite the feat when you consider the depth at which they tackle each grammar point. You'd be surprised at how many different ways a grammar point can be used. The three dictionaries are formatted much like you'd expect from a dictionary: alphabetical order. 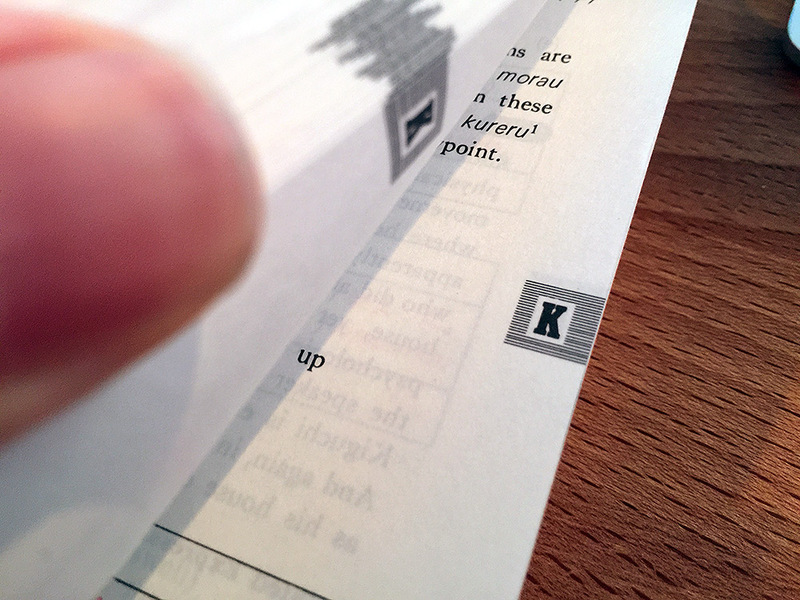 So, if you want to find the kamoshirenai かもしれない（） grammar point, you'll look in the "K" section. If you don't find what you're looking for in one of the books, there's a good chance it will be in one of the others. I don't think there's a non-slang piece of grammar that's not included, actually. 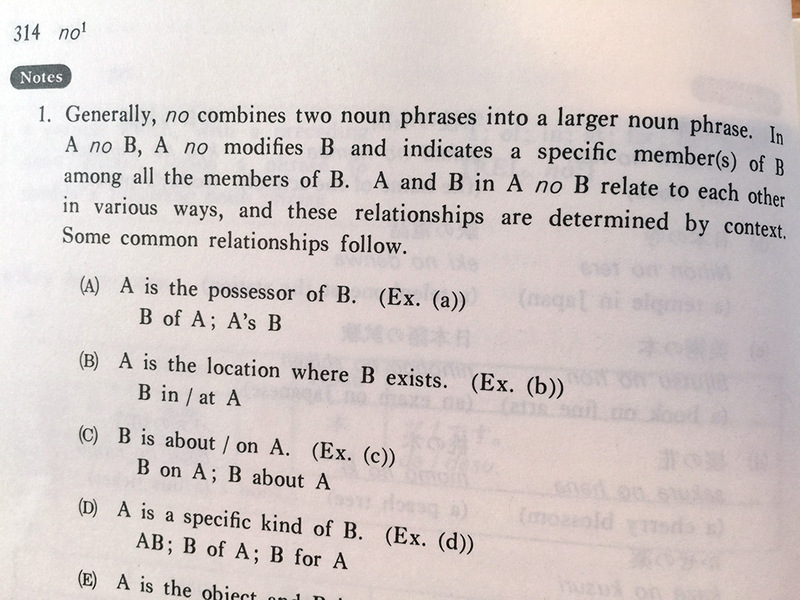 That being said, most of you won't need any more than the Basic Japanese Grammar Dictionary. It contains a lot of grammar, well beyond what most beginner textbooks will offer. I'd even venture to say that most intermediate level textbooks will be covered as well. The basic dictionary covers a lot. In terms of format, all three books are pretty much the same. The beginning of each grammar point stands out because it's in red. Let's take a look at the grammar of no for an example. It tells you what kind of grammar it is, gives you a short elevator-pitch sized description of what that grammar point does, and then tries to give you the closest English translation. In addition, it gives you some key sentences to help you to understand how it's used, and then it goes into more details with examples, more explanation, and notes. Pretty much everything you'd ever want to know about a grammar point is included, the images above don't really do this dictionary justice. Just when you think you're done with no, it then tells you about all the other, separate, ways you can use no, usually ordered by how common the additional grammar points are. Here's the rest of the no grammar. Of course, each of these sections have the same level of explanation, example sentences, and notes just like the first one. You'll know more than you've ever wanted to know about no should you go through this. But, that's what I like about these dictionaries. They actually make you understand why a grammar point behaves the way it does. Most resources say "This is what it does. Finished." 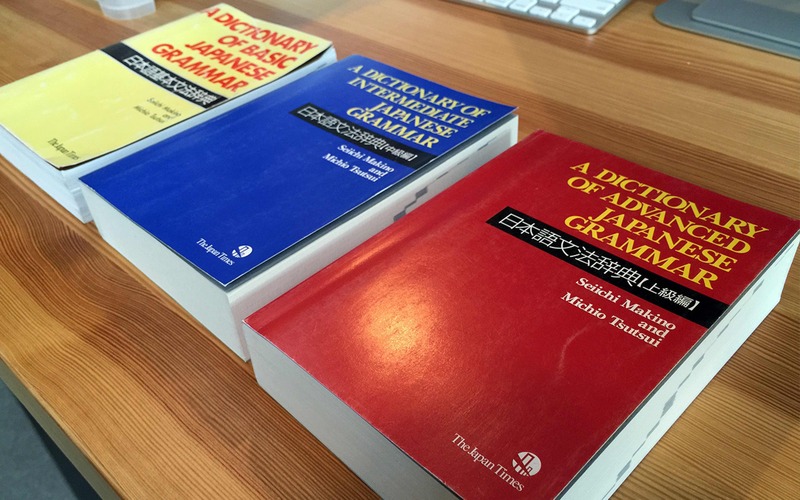 These grammar dictionaries reply: "this is what it does and here's why it does it this way." You won't be disappointed. The more sections you read and the more you look up, the more connections you'll begin to make as well. Understanding why no works the way it does gets even more helpful when you start to learn why other grammar points do what they do. You start to build a spider web of grammar knowledge and soon learning grammar becomes easier and easier. Patterns begin to emerge. It's no longer a pit of despair and broken rules. There's order to the chaos! What I'm try to say is this: You'll find what you're looking for and probably understand it. That's a nice combination. There are three of these books, and while I love all three of them, most people won't need to go beyond the first one (Basic). It has so much information packed into it, and certainly goes well beyond what most would think as "basic" grammar. They do get a little pricey, so I'm going to break the content down book by book so that you can make an educated purchasing decision, should you be interested in acquiring one or more of these fine volumes. This is the book for everyone. Beginner, intermediate and advanced level students of Japanese should pick this one up. 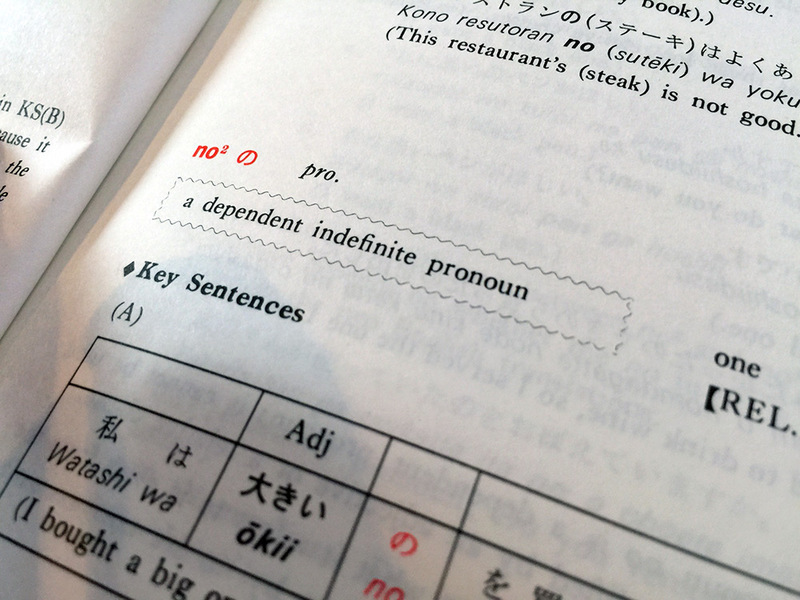 Even if (that's a big if) you knew every bit of grammar inside this textbook, you'll almost certainly learn a ton more about each grammar point. Like I've said over and over, the depth is amazing, and it will help you to put together that web of knowledge. I'd recommend using this grammar dictionary to look up any new grammar you learn, even if you learned it from a teacher or separate textbook. This grammar dictionary will almost certainly make you smarter. And, if I had to guess, I'd say this book covers JLPT 5-3. You should get this one if you're at an intermediate level or above. You won't use it nearly as much as the basic dictionary, but it will contain some grammar you can't find in volume one. Grammar in this book is still quite useful and common too, so just using it to learn new grammar is an option as well. My guess is that this book will cover JLPT levels 3-2, and maybe a bit of 1. This book should only be bought by advanced level students… or people who have OCD and must complete the set dslfjksaodfija!! It's also good for JLPT1 students, as it includes all that useless, uncommon grammar that you have to learn for that test. Most people won't have any need for this book, though I guess I've had to use it on rare occasion. 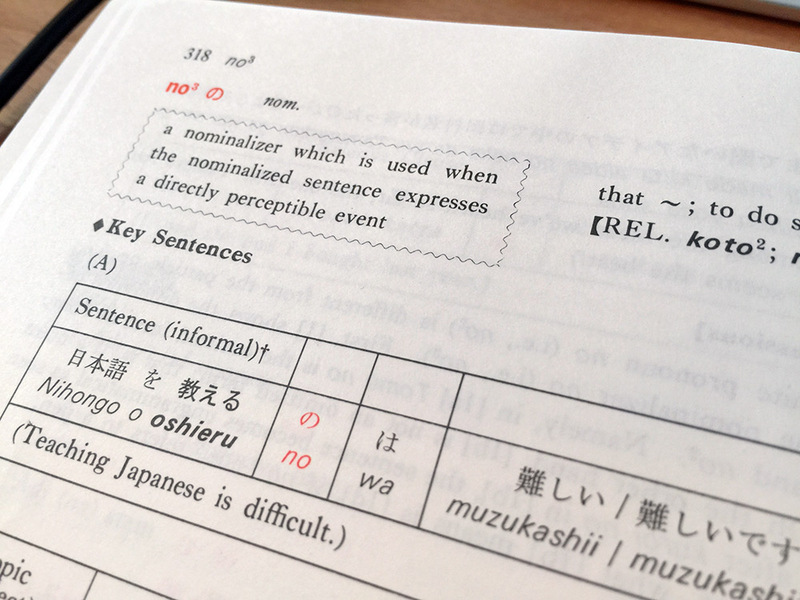 The third book also levels up in difficulty with the example sentences and notes, though that's to be expected. 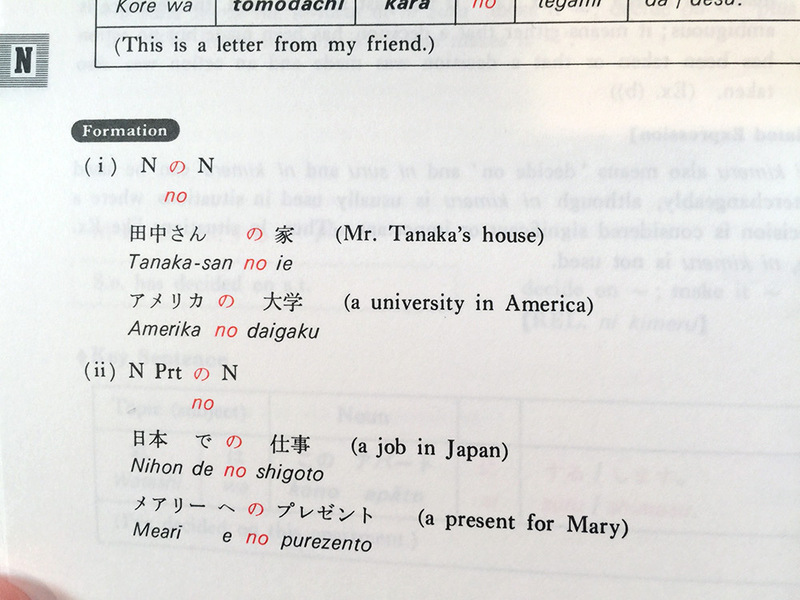 It's assuming you're an advanced student of Japanese, after all! 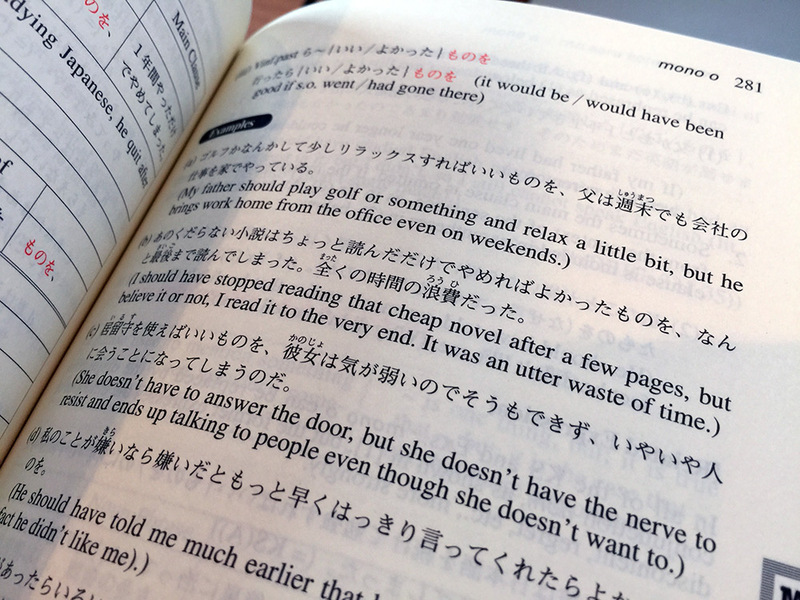 These books are one of the most useful resources a student of Japanese can own. When it comes to understanding a grammar point you've learned or tried to learn, they're the best, hands down. Even better than these fabled interwebs. 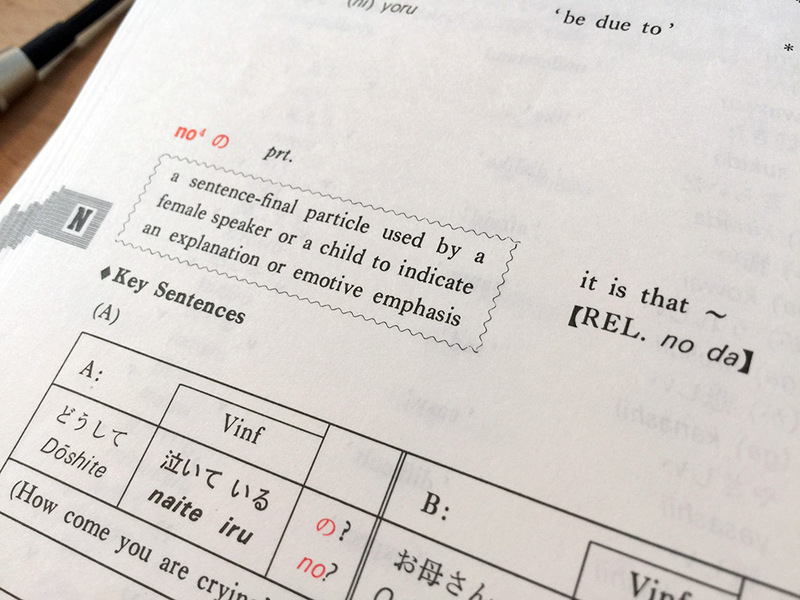 The Dictionary of Basic Japanese Grammar should be a part of every Japanese language student's arsenal. Intermediate and Advanced, not so much, though if you make it that far you should add those to your collection as well. We highly recommend (and use) these books here at Tofugu. Please give them a look, you won't regret it! These are an absolute, 100% must have for any level student of Japanese. They helped get me through college, and I still refer to them a few times a month. 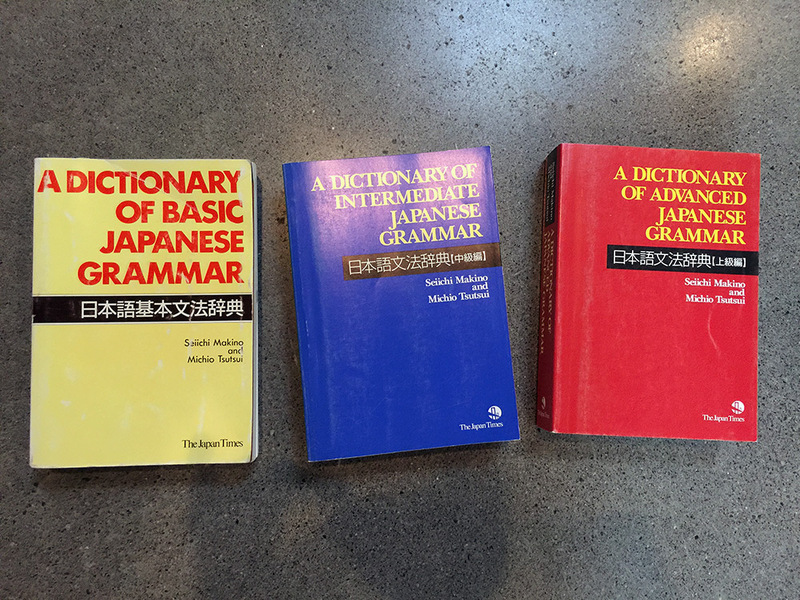 There has never been a set of Japanese grammar dictionaries so worn and so loved on my bookshelf. A necessity for all students of Japanese. Start with the “basic” book, and add the other two when you need to later. The explanations, examples, and layout are a dream. I can’t thank the authors enough for the effort and research they put into everything.